My mother and I take in the earthy scent of manure – initially jarring, eventually normal – as we travel up the paved walkway from the gates of Kibbutz Tzora to my uncleâ€™s house. The sun is starting to set over endless fields of grass and grain surrounding the living facilities. I kind of understand some of the Hebrew signs â€“ one demarcating a health building, another a grocery store. Despite my Jewish upbringing, and what is supposed to be a natural connection to Israel, I still feel like a foreigner. I donâ€™t have any strong bonds to the faith and I havenâ€™t met half of my family who lives here. I sense Iâ€™m on a tour, looking through glass at monuments. Itâ€™s worthy of marveling, but not Iâ€™m not connecting. I donâ€™t feel the heritage. I lumber along with this sentiment as I reach my destination. My uncleâ€™s house is not ordinary, possibly indicative of the socialist environment that spawned kibbutzim. I watch a small white cat that is nervously flitting around a bush outside. My uncle is trying desperately to keep his golden retriever from rushing out from the house and eating the small creature. The cat is skittish and darts off somewhere far from the dogâ€™s view. I take a seat at a wrought-iron white patio table to wait for my cousin Elad to arrive. He is seven years older than me, my motherâ€™s nephew. I am getting a little apprehensive because I havenâ€™t seen him in years. He was probably 14 the last time I saw him, which would make him 23 today. I hear a bus coming up the path, rumbling toward the house. It looks similar to the bus that I took to get to Tzora, but it is filled with a row of young men wearing forest green attire. As it approaches, I look for Eladâ€™s face, not sure if heâ€™s arriving right now. It feels surreal to know that I will be seeing him any moment, after what had been almost ten years. When the bus stops, two of the forest green men hop out, black words in Hebrew emblazoned onto their Israeli Defense Force army jackets. They chat jovially with one another, seemingly relaxed after a dayâ€™s work. The men are both darker shades than I am, bronzed by the Mediterranean sun. From where I sit, it looks like they are walking directly towards my uncleâ€™s house. The sun is even lower now, casting glowing rays around the two figures. One peels off to the left, presumably to go home, while the other walks toward me. I see Eladâ€™s face on this military body, a face that is older, with less hair on his head than I recall but with the same deep Jello pudding brown eyes. I know this face from photos and the one previous time we met, when he visited me in Cincinnati. But I doubt I could pick him out in a crowd, especially not in the unfamiliar military garb. He smiles when he walks up to us, hugging my mom first. This means a lot and I see it in the tears that well in her eyes. I still donâ€™t know exactly how to react. It strikes me how alien I feel, both in this country and to my family. 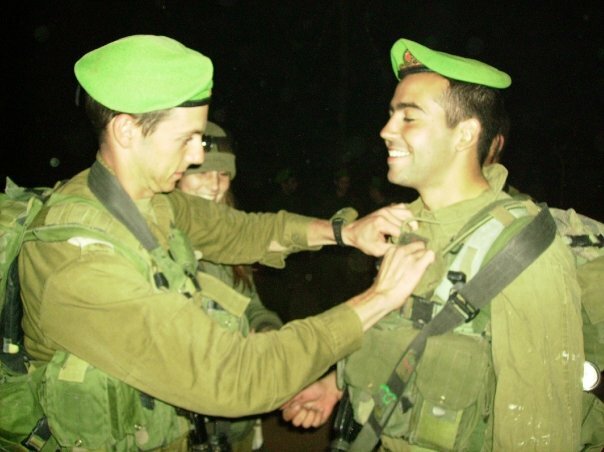 I had never thought about the mandatory Israeli military service that would take my cousins into its forest green embrace until now. I hold my breath for some reason as my mom lets go of her nephew. He walks over and my first instinct is to hug him. We embrace like brothers, all those years evaporating in the space between us. I look at his face that has always been somewhat similar to my own. Heavy dark brows and eyes. The four of us are complete in that patio setting where a small white cat sat skittishly less than an hour ago. I feel at home in the moment, in this pocket of time. I may not see Elad for many years after this, hopefully not quite as many as ten. And I donâ€™t know if Iâ€™ll ever see that deep forest green again. 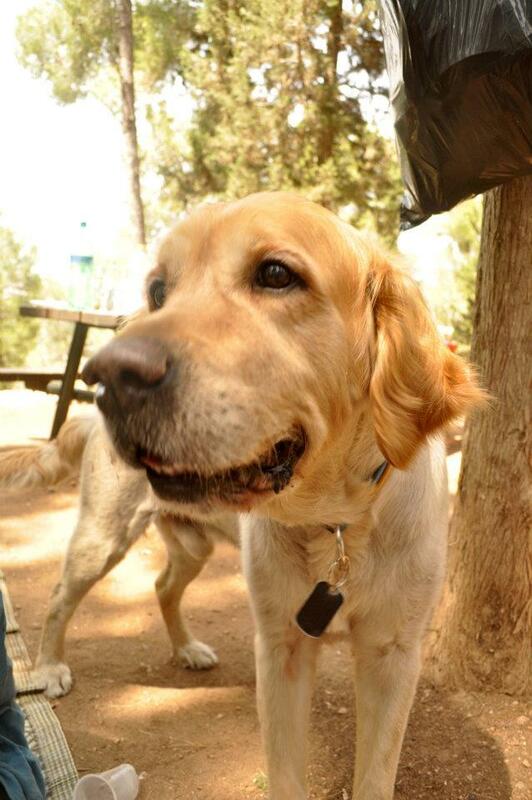 Elad, as he looked the day I saw him get off the bus at Kibbutz Tzora. An up-close and personal shot of the would-be cat killer. 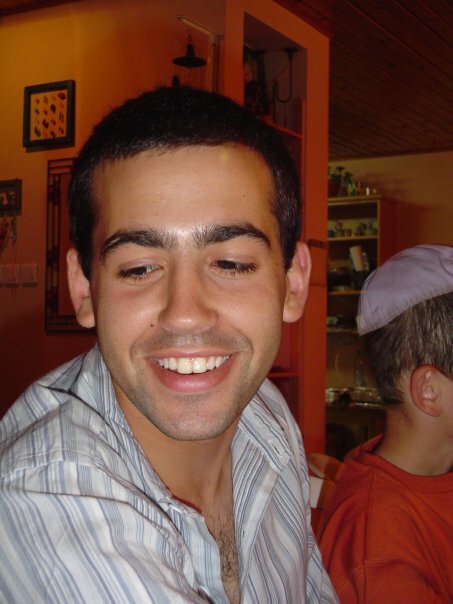 A somewhat recent photo of my cousin Elad, clearly not taking the time to look at the camera. 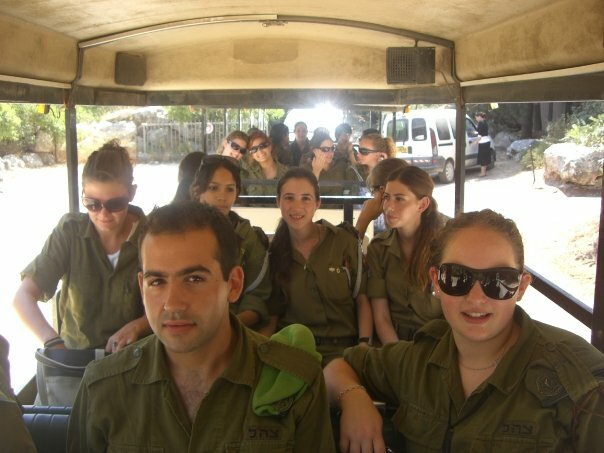 A group of soldiers, Elad included, traveling together.